With such a large Vietnamese diaspora living in Atlanta, one would think a restaurant might attempt to offer a more decidedly Vietnamese experience. Why not haphazardly strew some busted out Barbie doll size furniture on a sidewalk, set fire to charcoal, and char up some seriously authentic grub? I’d squat on one of those tiny stools in a heartbeat under the blazing sun if it meant an experience sending my tastebuds on a journey back to Vietnam. 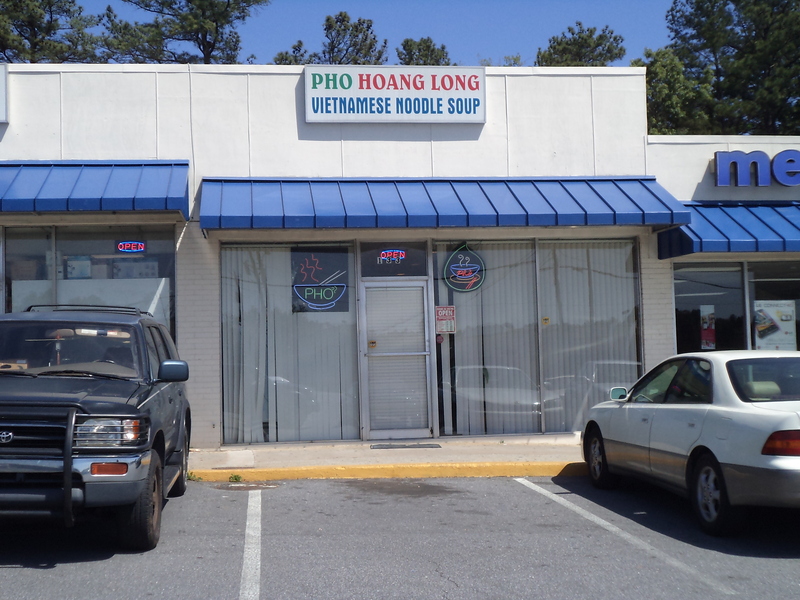 Until then we have Pho Hoan Long at 337 Pat Mell Road in the Atlanta suburbs. Yes, I had to venture far away from the main Vietnamese community on Buford Highway to dig up some decent food. This very basic storefront in a very much past its prime strip mall in a dicey part of Cobb County looks so out of place between Mexican taquerias and hair salons, yet it really is a small bit of Saigon. The tiny little market attached to the restaurant transports the nostalgic right back to the old country with its curious products and suspect smells. After a week of eating a path through mostly marginal choices in terms of true authenticity up and down Buford Highway, I now wonder if immigrants forget to pack a recipe book. With this frame of reference fresh in my mind, Pho Hoan Long’s food comes as a pleasant surprise. The tiniest details make all the difference in the world such as rice with the same texture as the small roundish pieces so often found in southern Vietnam. Much to my delight the nuoc cham did not cause my taste buds to recoil in absolute horror. My breakfast lady behind my apartment in Saigon would be proud of this properly thickened fish sauce concoction. Even the properly oiled scallion pieces would be at home atop any meat rather than the normally dry slices scattered across a plate in the US. Isn’t it funny how we don’t even notice subtle parts of the Vietnamese kitchen until they come up missing or some careless substitute causes the yen to veer away from the yang? 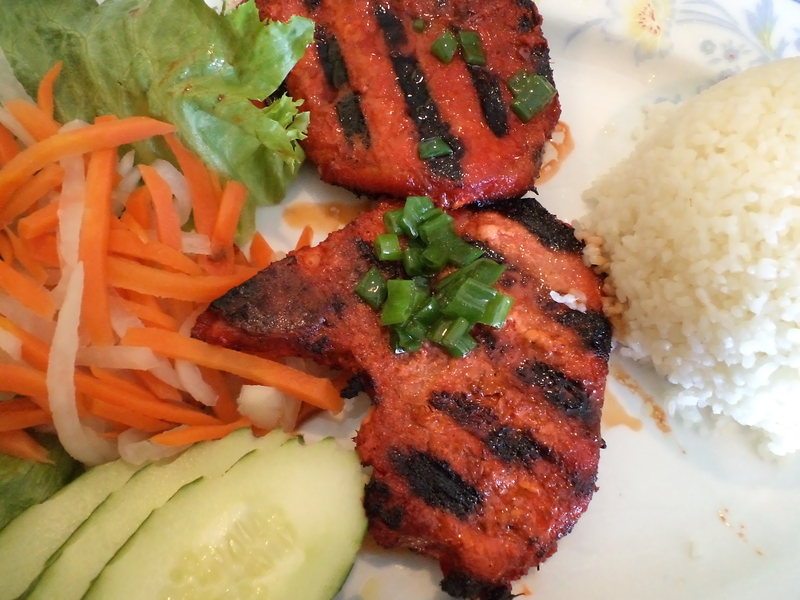 Far from missing though is great flavor in this cơm tấm bì sườn nướng meal as the pig based start actually met a grill in its journey from kitchen to table, and proper grill marks sear in the lemongrass marinade. American pork chops are sanitized pieces of meat, but I will let that difference slide here. Of course in Saigon the grill chars the fatty edges of pig cuts thankfully missing here, but I leave this part of the meat on the plate anyhow. Try as I might I just can’t seem to ingest gelatinous morsels of animal fat no matter how marinated or crisped up. My friend and I listened as other diners around us talked enthusiastically about how this is their go to spot for Vietnamese food, and I particularly thought interesting the steady stream of uniformed personnel from the nearby air force base. 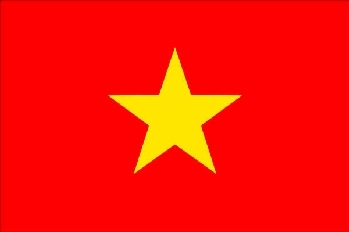 How ironic is it that a Vietnamese woman has opened a shop in America that is now frequented by our military on much friendlier terms. What a nice difference a few years make.